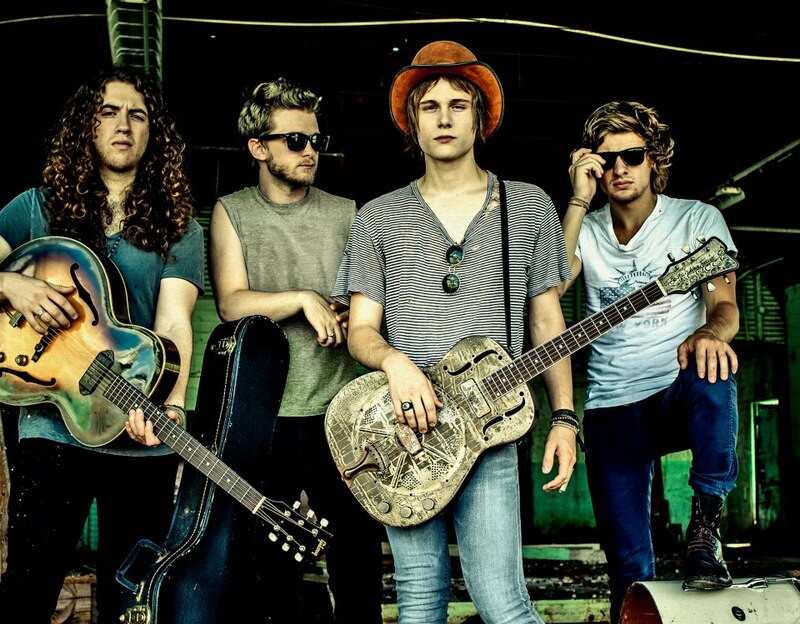 Show some love for this week’s KABW, Tyler Bryant & The Shakedown, a four-piece rock band from Nashville that is making big waves and earning scores of fans with every performance. Fronted by Tyler Bryant, a 21 year-old guitar prodigy from Texas who has earned numerous honors for his guitar playing and many accolades from music legends including Eric Clapton, Jim Lemley and Jeff Beck. The band is filled out by equally talented musicians who easily hold their own; Caleb Crosby (drums), Noah Denney (bass), and Graham Whitford (guitar). Building and refining their sound by playing a wide range of live shows, from stadium venues opening for bands like Aerosmith, Eric Clapton and B.B. King, to headlining club gigs all over North America, their music is powerful, anthemic, and makes you wanna jump to your feet and rock out. Their first album “From the Sandcastle” is a seven-song extended EP that released in September, 2011 to rave reviews. Their latest effort (and first full length album) is titled “Wild Child,” a 12-tune sludge hammer that will rock you out of your shoes. Get your ears on it by CLICKING HERE. Check out the first music video “Last One Leaving” off the new album by CLICKING HERE and keep up with the band via Facebook and Twitter. Shoot me an email via Matt@ShockBoxTV.com with KABW suggestions.